It’s true: sitting can kill you. And unfortunately, for the majority of Americans, sitting at a desk all day is required for a job. 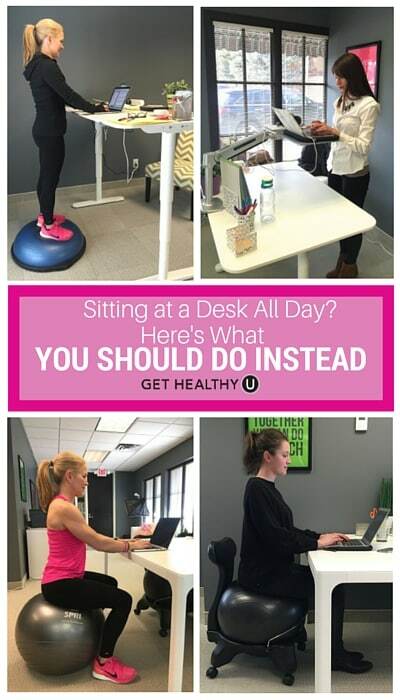 But studies have found that prolonged sitting is linked to a variety of life-threatening issues, including a higher risk of diabetes, cardiovascular disease and cancer. In fact, not even regular exercise can counteract the unhealthy drawbacks to sitting all day. But, before you throw your chair out the window, there is some good news: there are a variety of alternatives to sitting in a desk chair that can help you to avoid these alarming concerns. So, actually, go ahead, throw that chair away and read on to find out which one of the following six alternatives might be the best for you. It doesn’t get much more straightforward than avoiding the negative effects of sitting than by simply standing. A study conducted in 2013 found that people who took advantage of standing desks burned up to 50 more calories an hour than those who stayed sedentary in their chairs. As for work productivity, a 2014 review noted no difference in people following through with their tasks. It also found noteworthy physiological and psychological benefits to this type of alternative. It is important to note, however, that prolonged standing can have its downsides, too, given that poor posture results in locked out knees, sore heels, uneven weight distribution, a hunched back and more. This infographic will ensure you use standing desks the right way. If you’re not ready to commit to a full-on standing desk, try out a variable-height desk, which allows you to transition from seated to standing; it’s the GHU team’s favorite. While a standard office chair is known for giving you bad posture, thanks to slouching which can decrease core strength, stability balls work to automatically correct your posture due to the constant balancing your body is doing. You’ll tone your core, relieve back pain, increase your circulation and so much more with this method. According to a study conducted at State University of New York Buffalo, people who sat on stability balls burned 4.1 times more calories an hour than those who remained in an office chair. That’s 160 additional calories burned each week and 640 more each month. Be mindful that your ball is properly inflated, however, or else you’ll put yourself at risk for poor spinal alignment. Sometimes it can take awhile to get the hang of utilizing a stability ball, but before you give up on the idea altogether, try out a stability-ball chair. We have four in our office! This alternative method allows you to still use a standard stability ball, but, you can buy a base and back separately to lessen your chances of falling off, fully supporting your back, and keeping you in check with your posture. You’ll want to make sure you have the right form, however. Your hips and knees should be at 90-degree angles, and both your feet should remain flat on the floor. As for your desk, it should be elbow height. Another way to keep upright while challenging your balance, improving your posture and strengthening your core muscles is to stand on a Bosu ball while also using a standing desk. You’ll notice this type of equipment is often utilized in exercise classes as a means for targeting the whole body to get into a position. When you’re simply standing, you might find yourself get a bit too lax, but the Bosu ball is a constant reminder that, if you want to keep still, you have to work for it, which means proper posture and lots of muscle engagement. Balance boards, which use a standing platform of metal or wood that is balanced over a center fulcrum, work like a Bosu ball, but with a lot more challenge and perhaps a bit more distraction when you’re first getting used to it. Engaging your core and hips—two areas that can become weakened by sitting in a chair all day—is pertinent in staying upright with optimum stability using this method. Be mindful that this one takes patience as you get used to it, so don’t give up too quickly. Try starting off with five minutes, and increase your time from there. Also, be sure to spread your feet a few inches wider than hip-width to truly stabilize yourself. Want to really kill two birds with one stone? Keep your body moving for optimum energy expenditure by trying out a treadmill desk. 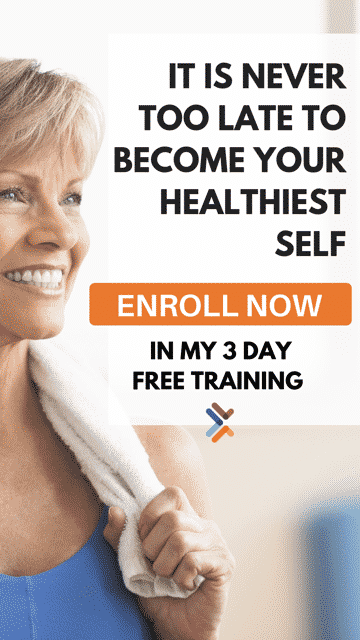 A study conducted in 2011 discovered that people who tried this method reduced the size of their hips by 4.8 centimeters and waist by 5.5 centimeters over the course of nine months. Just be careful that you don’t walk on it all day long, which will overexert your body. Combine this method with sitting, standing or other balancing techniques. Be mindful of proper form as well, ensuring that your keyboard remains at elbow height and your monitor at eye level. If you find walking treadmills to be too difficult to accomplish intense tasks, use it to make a phone call, read an e-mail or even just take a break. When using for a prolonged period of time, make sure the speed is minimal, around 1.5 miles per hour, and at all times, remember to keep your knees soft, your hips squared forward and that you land heel first. Let us know what alternatives you’re trying!